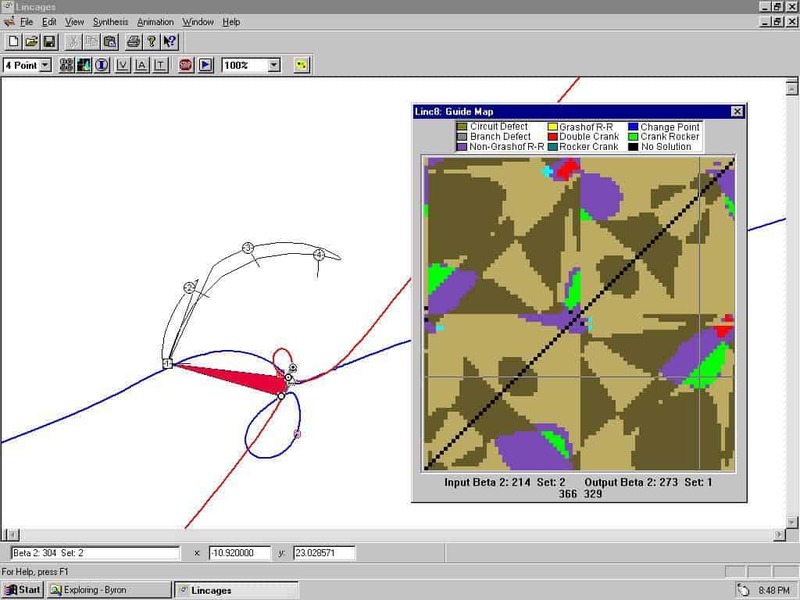 The linkage design software developed by Art Erdman and his students at the University of Minnesota, called LINCAGES: Linkage INteractive Computer Analysis and Graphically Enhanced Synthesis Package, was developed in 1977 through 2000. This is a link to his information site. His guide map that evaluates all of the linkages formed from points on the circle-point and counter-point curves was a nice innovation.